The beer pours a clear copper with golden hues and a fairly rich white to off white head. The nose is fairly nondescript with light pilsner type malt aromas and a sweet floral hop aroma as well. This is good, really good. It is always a great experience to taste a regular style beer that is done well and taste so good. This is nice. The taste starts out with sweet light malts up front then and nice cleansing and refreshing effervescence over the tongue in mid-sip. The back end is extremely easy drinking with an effortless swallow. There is also another carbonation release during the swallow that adds to the refreshing aspect of this beer. The finish is about as perfect as they come for an Amber Lager. 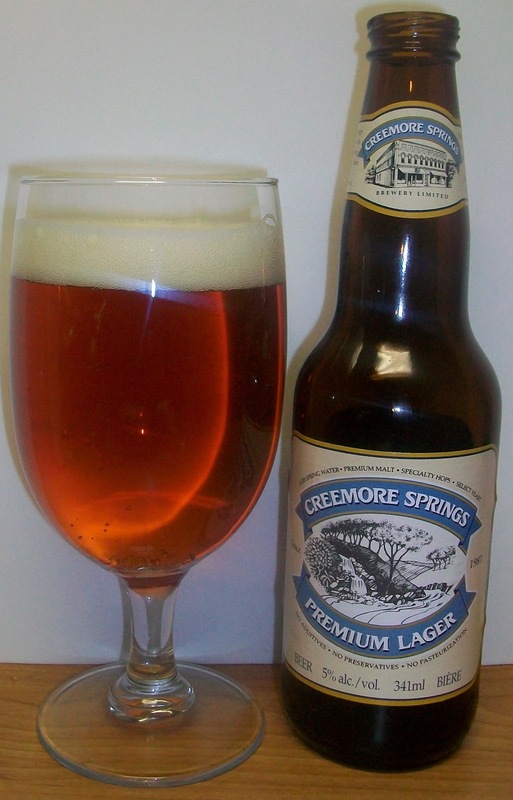 It is clean and crisp with the balance of light malt flavors and hops to provide a dry and refreshing finish. There is little to no final aftertaste just a slight hint of malt and hops. This is one beer that is so refreshing you are already thinking about the second one before the first is finished. There is an interesting bite to this beer that I did not notice earlier. We have warmed a little but we are only at 52 degrees. It’s not bad but I just hope it doesn’t turn into an off taste. All and all I am very impressed with this beer. However it does seem to be picking up a slight off taste was it warms. I’m really almost finished but I’m going to let this sit a while and warm up a bit more. Well, we are now at 62 degrees, let’s see how this warmed. OK, I was wrong this beer was not picking up off flavors; that was just a different bite for a lager that I did not expect. The malt flavors in this beer have actually gotten sweeter and smoother as it warms. I’m going for a B maybe even a B+. This is just an Amber Lager but it is very well done. It’s a very enjoyable clean, crisp and refreshing Amber Lager with a nice light malt sweetness and a dry finish.